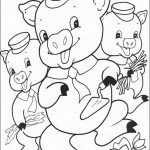 Welcome to our 3 Little Pigs coloring pages! 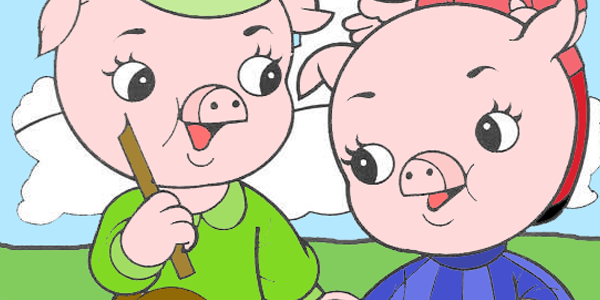 Three Little Pigs is a fairy tale featuring talking animals. Printed versions date back to the 1840s, but the story itself is thought to be much older. 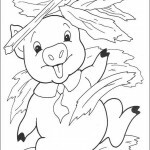 The phrases used in the story, and the various morals which can be drawn from it, have become enshrined in western culture. 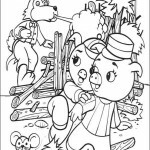 The tale of the Three Little Pigs and the Big Bad Wolf was included in Nursery Rhymes and Nursery Tales (London, c.1843), by James Orchard Halliwell-Phillipps. The story in its arguably best-known form appeared English Fairy Tales by Joseph Jacobs, first published in 1890 and crediting Halliwell as his source. 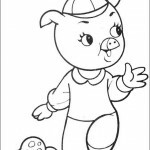 The story begins with the title characters being sent out into the world by their mother, to seek their fortune, just as you can see in our 3 Little Pigs coloring pages. 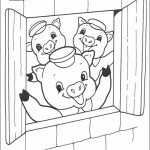 Little pig, little pig, let me come in! Not by the hair on my chinny-chin-chin! 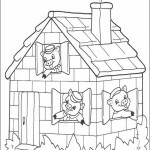 Then I’ll huff, and I’ll puff, and I’ll blow your house in. 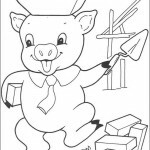 The third pig builds a house of hard bricks. 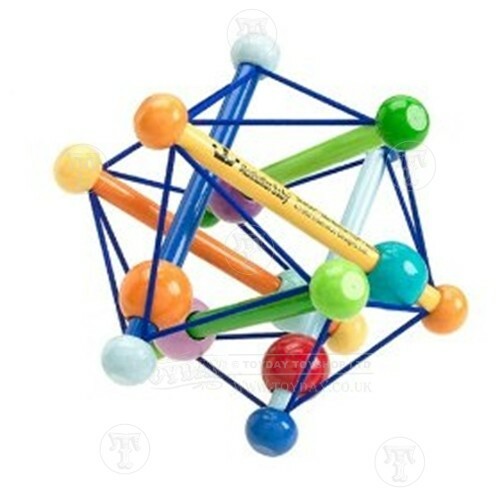 The wolf cannot huff and puff hard enough to blow the house down. 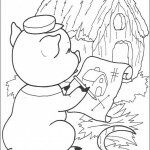 He attempts to trick the little pig out of the house, but the pig outsmarts him at every turn. 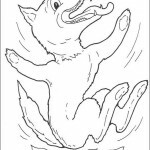 Finally, the wolf resolves to come down the chimney, whereupon the pig boils a pot of water into which the wolf plunges, at which point the pig quickly covers the pot and cooks the wolf for supper. 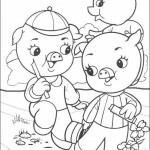 Did you know that can see all of the three little pigs and the wolf in our 3 Little Pigs coloring pages? 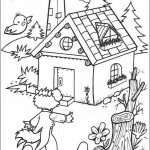 The story utilizes the literary Rule of three, expressed in this case as a contrasting three, as the third pig’s house turns out to be the only one which is adequate to withstand the wolf. 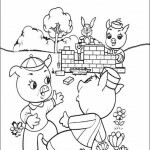 Retellings of the story sometimes omit the attempts to trick the third pig, or state that the first pig ran to the second pig’s house, then both of them ran to the third brother’s house of bricks. 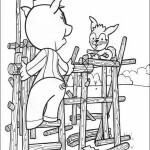 The latter is often an attempt to write out death or violence in the story. 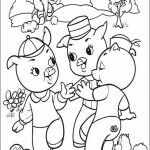 Now that you’ve learned more about the story of the three little pigs, it’s time to start working on our 3 Little Pigs coloring pages!